Date: Friday, November 17, 2017 at 7:30 p.m.
Saturday, November 18, 2017 at 3:00 and 7:30 p.m. Admission: Tickets: $7. Call (310) 440-7300 or click here. Aeschylus’s The Suppliant Women, one of the oldest extant dramas from ancient Greece, is the first play and only surviving full text of the lost Danaid Tetralogy. The tetralogy was inspired by the myth of Io and her two warring sons, Aegyptus and Danaos. After Aegyptus usurps Danaos’s throne, the 50 sons of Aegyptus seek to possess the 50 daughters of Danaos by forced marriage. Danaos and his daughters reject the compulsory unions and flee to Argos for sanctuary, pursued by the Egyptians. The Suppliant Women is also one of the earliest known stories of refugees. It is one of Aeschylus’s most poetic pieces, beautifully translated by renowned writer and translator George Theodoridis. In this remarkably timely production Argos becomes modern Greece and the daughters, wearing life jackets and arriving on overcrowded boats, become Syrian refugees. This ancient play has neither hero, nor downfall, nor even tragic conclusion. Instead, the play’s themes, still pertinent today, explore human rights, the continuing oppression of women, and societal reactions to refugees. Michael Arabian has directed and produced numerous West Coast and world premieres in New York and Los Angeles, winning over 50 awards. In Los Angeles, he is best known for his production of Waiting for Godot at the Mark Taper Forum in 2012 which was honored with five Los Angeles Drama Critics Circle Awards, including Outstanding Production and Direction. It was also nominated for ten Ovation Awards, winning five, including Best Production. 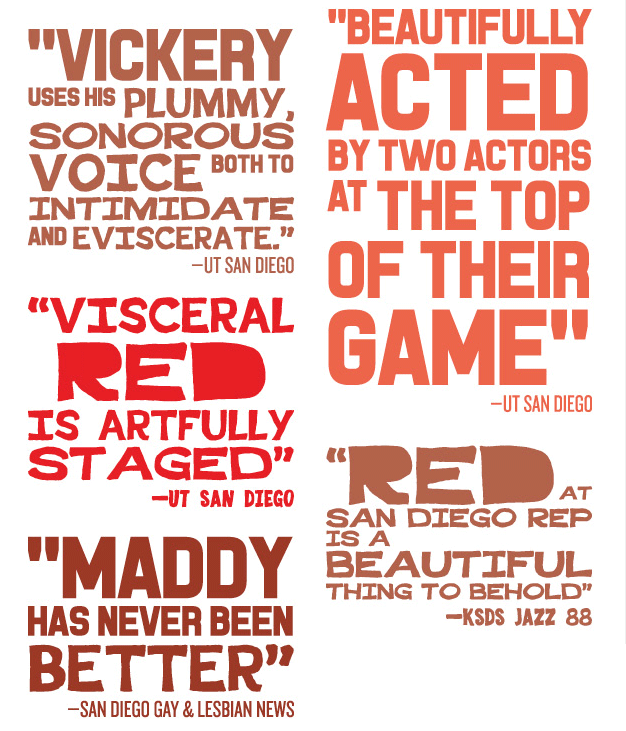 In 2016 Arabian directed Disgraced at San Diego Repertory Theatre, which received a San Diego Critics Award nomination for Best Production, and Red starring John Vickery. Both shows made the San Diego CityBeat’s Top 10 list. He also directed Six Dance Lessons in Six Weeks, starring the dance icon Leslie Caron at the Laguna Playhouse and Staging the Unstageable (commemorating the centennial of the Armenian Genocide) at the Kirk Douglas Theatre. Other productions at the Mark Taper include Samuel Beckett’s Krapp’s Last Tape, Edward Albee’s The Sandbox, Harold Pinter’s A Slight Ache, and workshops of new works. His site-specific company, Theatre InSite, formed a partnership with CBS (Radford) Studios (a first for L.A. theater), to produce live TV pilots (Third Rock from the Sun picked up) and inventive, large-scale productions, such as an updated production of Romeo and Juliet where audiences followed scenes and car chases through the backlot’s suburban streets, and The Trojan Women set during the Gulf War and staged in 400,000 gallons of water at the old Gilligan’s Island Lagoon site. Arabian’s film King of the Ants, shot on 35mm film, is distributed by Vanguard Cinema. Rogue Machine Theatre was founded in 2008 as a performing arts organization to serve the greater Los Angeles community by developing and nurturing emerging playwrights, introducing important new contemporary works to Southern California, and engaging diverse audiences by presenting vital, invigorating productions. The company mirrors and examines contemporary culture as a theater of ideas and imagination. This year, Rogue Machine Theatre (RMT) received the Polly Warfield Award for Outstanding Season from the Los Angeles Drama Critics Circle, making it the only theater company to be given this award twice in the past sixteen years. The company is a recipient of the American Theatre Wing’s 2014 National Theatre Company Grant, awarded to select theater organizations for the development of new work and other significant contributions to the field of professional theater in the United States. World premieres have subsequently played off Broadway, in major regional theaters, and at the Donmar Warehouse in London. RMT has been nominated for the Los Angeles Drama Critics Circle and/or Ovation Awards Best Production in Los Angeles in six of the last seven years and has won each award three times. In addition, RMT has garnered more than 60 awards for direction, design, and acting. More information is available at RogueMachineTheatre.com. A young man with a difficult home life joins the military in search of family and discipline. Eventually, he finds being an Army Airborne Ranger a bittersweet experience, so he turns his focus to the pursuit of money as a commercial fisherman in Dutch Harbor, Alaska. In the end, he learns the hard way that often what you want in life isn’t what you need. LOS ANGELES—Center Theatre Group (CTG), one of the largest theatre companies in the nation, in partnership with the Armenian Dramatic Artists Alliance (ADAA), presented “Staging the Unstageable: The Esthetics of Dramatizing Atrocity” – an evening of celebrity play-readings and a panel – at the Kirk Douglas Theatre in Culver City, on Tuesday, April 28, to a sold-out audience in observance of the 100th anniversary of the Armenian Genocide. The evening was conceived by Pier Carlo Talenti, Director of New Play Development for CTG, and ADAA President, Bianca Bagatourian. The scenes were directed by Ovation-winning director, Michael Arabian. The evening of remembrance, art, and activism featured excerpts from three plays that dramatize in different ways the Armenian Genocide – historically, artistically and politically — the Ottoman Empire’s attempt to purge its territories of its minority Armenian subjects and other non-Turkish people groups. The plays included were: “15/15” by Leslie Ayvazian, back at CTG since her play “Nine Armenians” played at the Mark Taper in 1997; “Forgotten Bread” by Sevan Kaloustian Greene; and “I Wish to Die Singing – Voices from the Armenian Genocide,” by Neil McPherson, artistic director of the Finborough Theatre in London, where the play is currently in its world premiere production. Oscar-nominated actress, Shohreh Agadashloo (“House of Sand and Fog”), began the evening playing the role of Turkish attorney Fethiye Cetin, putting the underlying tension of the historical context into full dramatic view, followed by Sam Anderson (“Different words for the same thing,” KDT), Leslie Ayvazian (“Nine Armenians,” Mark Taper Forum), Ken Davitian (“The Artist”), Michael Goorjian (“David’s Mother,” Emmy Award), Karen Kondazian (“The Rose Tattoo,” LADCC Award), Christine Kludjian and Hrach Titizian (“Bengal Tiger at the Baghdad Zoo,” Taper). Music was provided in intervals on the flute by critically-acclaimed flautist Salpy Kerkonian. The powerful one-hour performance was followed by a panel after the intermission, with notable guests from the Los Angeles theatre scene including Jose Luis Valenzuela, Julie Marie Myatt, Michael Peretzian, and Greg Hittelman from the Washington DC genocide prevention organization, Enough! The group explored tactics to bring tragedies to the stage and asked whether theater can play a role in averting the next genocide. The discussion was moderated by LA Weekly theater critic, Steven Leigh Morris, and ended with a reception in the lobby. ADAA also administers the $10,000 William Saroyan Human Rights Playwriting Award, for which the next deadline will be on April 24, 2017. Michael (Tedd Taskey) has been groomed to play football since childhood, when he watched teams practice for hours at the colleges near his home. But now that he’s finally part of the roster at his university, he barely sees any playing time on the field, much to the chagrin of his ambitious dad, an ex-officer in the military. Will the love of a classmate (Tiffany Fraser) give him the strength he needs to defend himself against his old man? 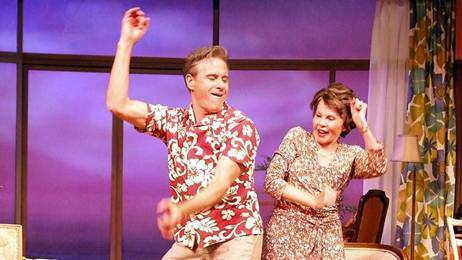 David Engel and Leslie Caron star in “Six Dance Lessons in Six Weeks” at the Laguna Playhouse. “I’m living the life of a nun. It’s theatre, rest, theatre, rest. I’m saving my strength just for the play,” says the 84-year-old performer, who will be hitting the stage at the Laguna Playhouse. She stole Gene Kelly’s heart in An American in Paris, went toe-to-toe with Fred Astaire inDaddy Long Legs, and got an Oscar nod at the ripe age of 22 for the 1953 movie Lili. And though that was a long time ago, Leslie Caron is not done yet. The 84-year-old performer is dusting off her dance shoes for a revival of Six Dance Lessons in Six Weeks at the Laguna Playhouse through June 8. Playwright David Alfieri’s comedy-drama originally starred Polly Bergen and Mark Hammil when it opened at New York’s Belasco Theatre to lukewarm reviews in 2003. Uta Hagen performed the role a few years before at the Geffen Playhouse in LA, and Rue McClanahan did it in Miami. Gena Rowlands will star in the movie version opposite Cheyenne Jackson, but no doubt none of them went through what Caron did to prepare for the role. First stop was her chiropractor who, after a few adjustments, declared her ready for action. She then committed to an exercise regimen, dancing daily, regular walks and fine-tuning her southern accent by reciting the play over and over. It may sound like overkill, but she knows what she’s doing. After all, Caron — who was born in the French suburb of Boulogen-sur-Seine (her mom had been a Broadway dancer; her dad was a French chemist) — has been at it for over sixty years. She was only 16 when she became a dancer with the Ballets des Champ Elysees in Paris. One night she was sitting in a shared dressing room when a fellow dancer’s husband told her Gene Kelly had come by looking to audition her for his new movie, An American in Paris. She had never heard of him, nor had she heard of Gershwin, Kelly’s musical partner on the film. “He’s coming to Paris to meet you,” she was told, but Caron didn’t think a Hollywood musical was quite her style. She found Kelly to be a taskmaster but certainly no more so than dance masters like Rudolf Nureyev and choreographer Roland Petit. For Caron, the hardest part was dancing on cement and not wood, and unlearning much of her classical style in order to dance jazz. After the Oscar nod for Lili, she was invited by George Cukor to be in Les Girls, but the role of the seductress (eventually played by Mitzi Gaynor) wasn’t something the pixie-like Caron felt suited her and so she went off to dance with Fred Astaire in Daddy Long Legs instead, infuriating Cukor. But she made it up to him by stepping into the role of Gigi for the 1958 movie that won the Oscar for Best Picture. Career-wise, the ’50s was her best decade with the ’60s bringing forgettable movies like Father Goosewith Cary Grant and Promise Her Anything, on which she had an affair with co-star Warren Beatty, divorcing theatre director Peter Hall after nine years of marriage. A few years ago she called Beatty looking for work but he told her he would never direct again, and yet he’s currently in production on his long-gestating Howard Hughes movie.